Hello everyone! It is Sunday and we have new challenge at Robyn's Fetish - Christmas Card for a Young Child. Our sponsor this week is Bugaboo Digi Stamps with a $21 voucher for a lucky winner. Сьогодні розпочинається нове завдання на блозі Robyn's Fetish - Різдвяні листівки для діток. І спонсором цього завдання є магазин Bugaboo Digi Stamps із ваучером на $21 для щасливого переможця. For my card I used Little Penguin Winter image kindly donated by the sponsor. I coloured it with copic markers, added some glitter, crushed velvet and stickles. Papers are from MME and I added some crinkled ribbon and lace as well. 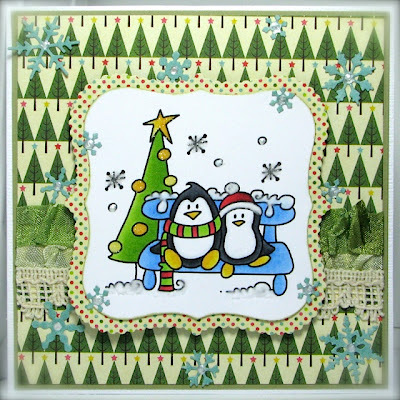 Snowflakes were cut using Cheery Lynn Snowflakes Die. Для своєї листівки я використала люб'язно надане спонсором зображення Little Penguin Winter. Розмалювала його маркерами копік, додала трохи блискіток (глітеру), оксамитового пушку та Stickles. Сніжинки вирізала за допомогою ножа від Cheery Lynn. Ну, і я просто не могла додати сюди пару м'ятих стрічок та кремове мереживо. 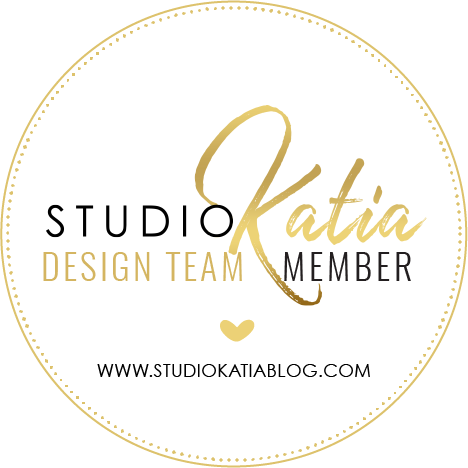 You noticed new banner at the top of my blog? Yes, there's a Christmas Sale at Robyn's Fetish Digital Stamps and More!! 50% off! How cool is that? Don't miss your chance! До речі, не пропустіть 50% розпродаж у магазині Robyn's Fetish Digital Stamps and More! Чудова нагода поповнити запас цифрових зображень за хорошу ціну. Thank you for stopping by! Have a great and very merry Christmas!! Дякую, що завітали! Бажаю вам чудового настрою та веселих свят!! Very cute image and the papers match so nicely with it, too. Love the snowflakes that you made with the die. Great card! A lovely bright fun card for any child to recieve Lilia !! Lots of happy wishes from Sweden! What a darling card, every child would love to get this one! Hi Lilia, Merry Christmas! I hope your holidays are full of good memories. 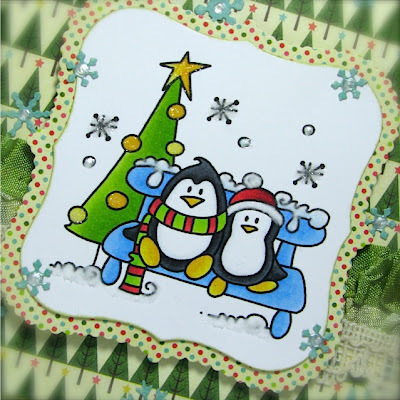 Very sweet Christmas card, I just love these little penguins! Thank you for joining us this week at the Crafty Sentiments Designs Challenge! Super cute, I love your work on this adorable image and all the fun glitter. Thanks so much for playing at Crafty Sentiments!! Super cute child's christmas card !! 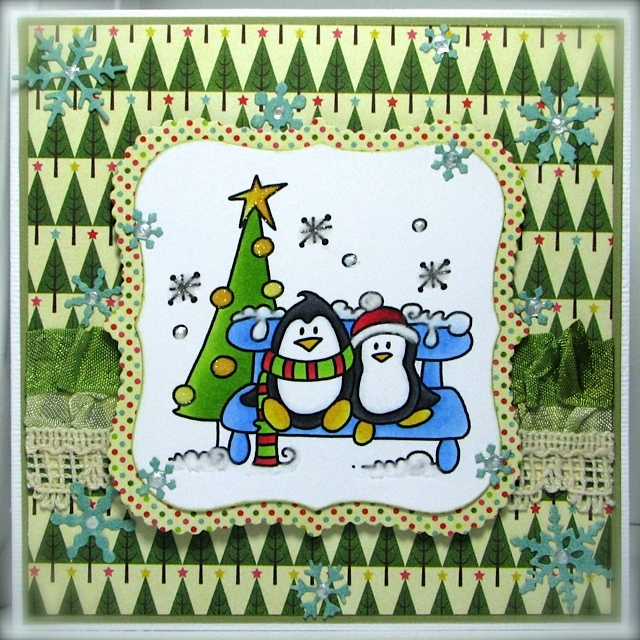 Thanks so much for playing at Crafty Sentiments Designs !! Happy New Year! Have a GREAT day! прикольные ребята и открытка позитивная ))) спасибо за внимание к заданию блога Paint Your World. Such a cute card for a child! I love the crinkled ribbon and lace you added behind your image. Thanks for joining in our OSAAT Blog Hop and I hope to see you back again for our next challenge.